1 main and 3 sub zipped compartments with 2 side pockets. 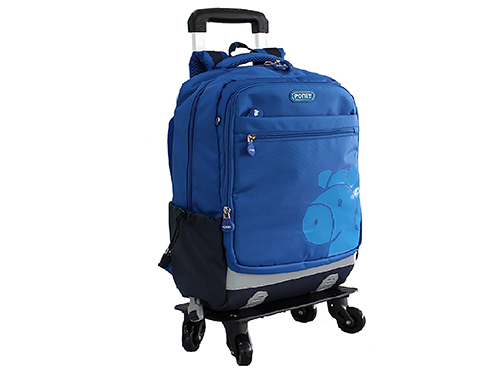 Dual-function where school bag can be detached or attach with trolley. Padded shoulder straps and back design to help protect child's spine when carried. Comes with extendable top handle. 360° spin wheels allowing easy rolling and maneuverability. Size: 39.5(L) x 25(W) x 60.5(H) cm.